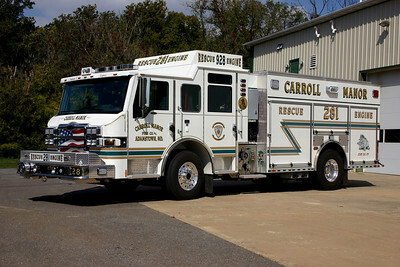 Carroll Manor Fire Company - Frederick County - Adamstown and Point of Rocks stations. Adamstown Point of Rocks substation - Engine 281 is this 2009 Pierce Velocity, 1500/1000. ex - Frederick County Engine 162. 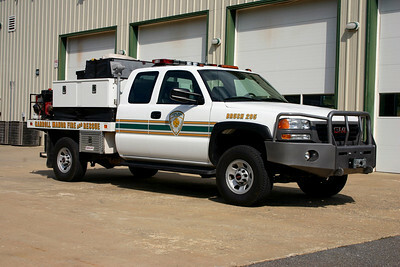 Brush 285 is a 2006 GMC 2500 4x4, 250/250. Former Rescue Engine 281 was this nice 2009 Pierce Impel, 1500/750, sn- 21798. Sold to Bowley's Quarters, Maryland. Engine 281 at Carroll Manor's Point of Rocks station in Maryland. 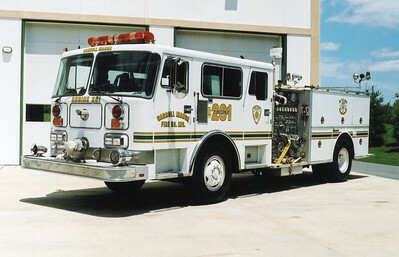 A 1986 Seagrave HB 1250/500 that was originally Glen Echo, MD in Montgomery County.